Around 40,000 years ago, humans started living in the areas now known as New Guinea and Australia. As time progressed, these early explorers increased their range to the southern Pacific islands. Most historians generally agree that kava, made from the Piper methysticum plant, was first grown on the islands of Vanuatu starting around 3,000 years ago; though, some have argued that its use began in Fiji or New Guinea. After its initial planting and use, the popularity and influence continued on to the east – helped along by the islanders and their sailing canoes. It then appeared in Polynesia, Fiji, and also to west including Micronesia and New Guinea. Since the Piper methysticum plant is replicated by cultivars or cuttings, it was easily carried by these early seafaring island explorers wherever they ended up. Kava was used frequently in ceremonies and folk medicine. Among the oceanic cultures that use kava, many different origin myths exist. The Samoan legend recounts kava was given to the first high chief, Tagaloas UI, by the Sun God and a Fijian princess. There are many other variations on this story involving crabs, gods, and the like. The Tongian version is bit more macabre and involves the great chief Losu killing, eating and burying his daughter on godly instructions and then having a kava plant grow forth from it, which was then drunk in ceremony. These kava myths, along with others, all seems to involve humans dealing with the sky, sun, water, earth, flora and fauna, along with features of divinity and gods that include mortality, births, deaths, marriages, and transformation. On the island of Hawai,i indigenous priests were reported to have read the bubbles that climb to the surface of kava brew to foresee if a child would be male or female and to determine the cause of any sickness. They also used Kava in naming ceremonies and hula traditions. 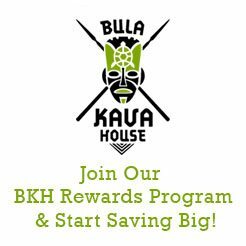 This importance to tradition is probably why kava is known by many names all over the Pacific including Awa, Ava, Ava Pepper, Kawa Awa, Kawa Kawa, Wati, Yogona, and Waka. Captain Cook was the first Westerner to report back about kava, and references to kava were included in his ship logs from his late 1700s voyage around the Pacific. Cook was the first to name it Piper methysticum, which means “intoxicating pepper.” When the islands were later colonized by the English and French, they banned the well-established indigenous practice of having youngsters chew the kava roots to active the kavalactones with their saliva. The colonizers thought spitting and chewing were disgusting. 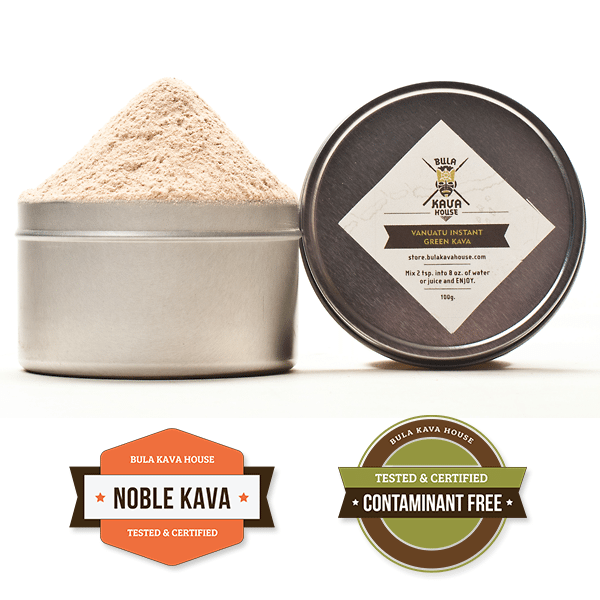 This led to more kava being pounded and ground to drink, which continues today. As the islands of the Pacific did not endemically have alcoholic beverages before colonization, kava was sometimes used in a similar manner. 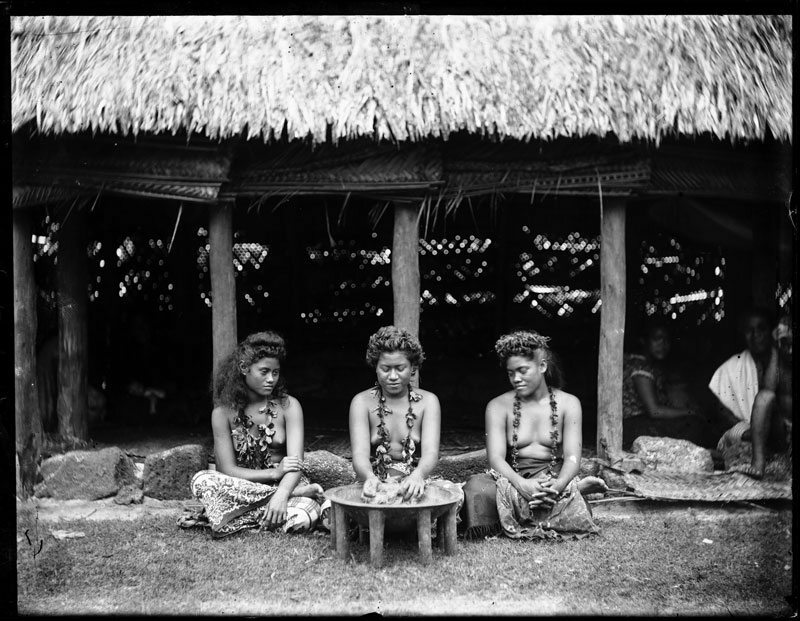 Consequently, the use of kava significantly declined when alcohol was introduced by western powers. So whether using it in a ceremonial manner or just for its anxiety-beating properties, we have varieties from all over the Pacific islands for every taste and purpose. Please visit our store to learn more.